I couldn’t resist posting a picture of these little guys, who came into work on friday, umbilical cords still attached. Unfortunately their mum was killed, but they’ve now gone to a WIRES carer and will hopefully go on to live long, happy lives. 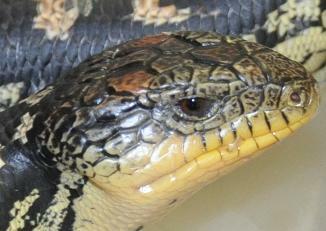 Blue tongue lizards are the largest members of the skink family. One of their favourite foods are snails, so they’re generally very welcome in Australian backyards.